What are wisdom teeth? These are the third and last molars which are located on the back portion of the lower and upper jaws. They are called “wisdom” teeth because these are usually the last ones to come out from under the gum line – during the time when an individual is assumed to already have wisdom in life (late teenage years to early adulthood). The manner with which these teeth grow out from the gum line can cause extreme pain. Wisdom teeth may grow sideways instead of upwards, just like normal teeth do when they erupt from under the gum line. When the teeth move to the side, they will push against neighbouring teeth – and this movement will cause a great deal of discomfort. This abnormal growth and position of the teeth will result to difficulties in oral hygiene; it will be difficult to clean wisdom teeth when they are not fully erupted from under the gums. Wisdom teeth are susceptible to dental problems such as tooth decay, which only adds to the discomfort and extreme pain. An impacted wisdom tooth is one that does not come out fully from under the gums. Impacted wisdom teeth have the highest risk of becoming decayed since they cannot be cleaned thoroughly. 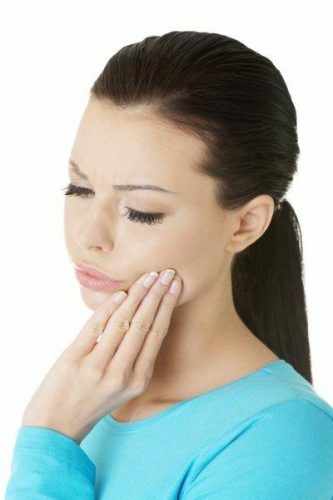 When these teeth become painful or decayed, the problem can be solved with a wisdom tooth extraction. A surgical removal by your dentist may be needed to get to the tooth from under the gums, especially if the position makes it difficult to be removed in one piece. The wisdom tooth removal will provide long-term pain relief, and will prevent infection from spreading to neighbouring teeth.